The Russian presidential administration is no longer working with Gleb Pavlovsky – a man who has had great influence on politics in the country for the last 15 years, helping many top officials to secure their posts. The news first appeared as unconfirmed reports on Wednesday morning, but soon both Kremlin sources and Pavlovsky himself confirmed it. There was no immediate official statement from the authorities, most likely because Pavlovsky, the head and founder of the Foundation for Effective Politics, was only working as an advisor on a voluntary basis and the end of the contract was marked only by the cancellation of his Kremlin pass. The sources in the administration, quoted by various Russian agencies, also dismissed the allegation that the move was because of Pavlovsky’s recent criticism of Prime Minister Vladimir Putin and the United Russia party. The sources said that no one had ever asked Pavlovsky to make any pledges of loyalty. Pavlovsky himself also dismissed the allegations of conflict, but said that the approaching election certainly influenced his voluntary decision to quit. He said that because of his post, even though it was only as voluntary advisor, many of his statements concerning the current and future political situation were wrongly attributed to Dmitry Medvedev’s administration, which was wrong. 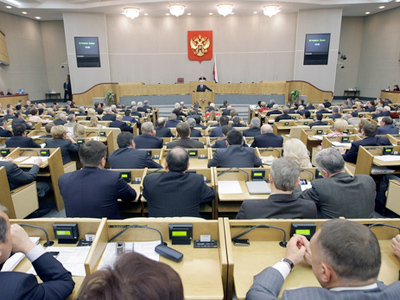 Earlier this year, Pavlovsky said that Putin’s speech before the State Duma was too weak to be an electoral platform. He also criticized parliament speaker Boris Gryzlov for promising Putin support without consulting with other party members. 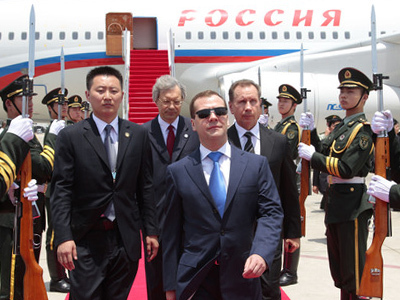 Pavlovsky also said that Medvedev had definitely expressed the will to run for the presidency in an interview with the Chinese media in mid-April. Pavlovsky said that the loss of the voluntary job as an advisor did not mean in any way that he was stopping all relations with the presidential administration and added that he and his company will continue their cooperation, for example, by preparing the next international forum in Yaroslavl. Gleb Pavlovsky is probably the oldest political specialist in Russia. 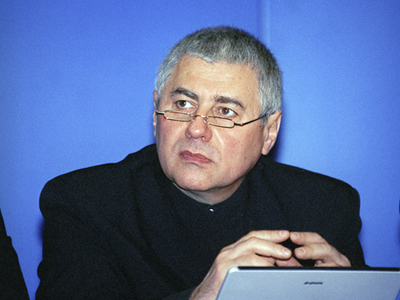 Initially a Soviet-era dissident, who was sent into exile by the KGB in the 1980s, Pavlovsky was behind almost all political and media innovations in the new Russia. Pavlovsky founded the first Russian independent political organization Club of Social Initiatives, independent information agency Postfactum, worked in the Kommersant publishing house that printed the first independent business newspaper and headed several media projects, such as the internet magazine Russian Journal. However, the major project launched and headed by Pavlovsky was the Foundation for Effective Politics or FEP – the main commercial organization in the country that professionally organized political and media campaigns. The foundation held many campaigns, including some outside Russia, but the most well-known and important project was Vladimir Putin’s presidency. The foundation also trained a great number of people who now work as civil servants, professional consultants and politicians, both in power and in the opposition.